• The units are assembled from a wide range of standard section. 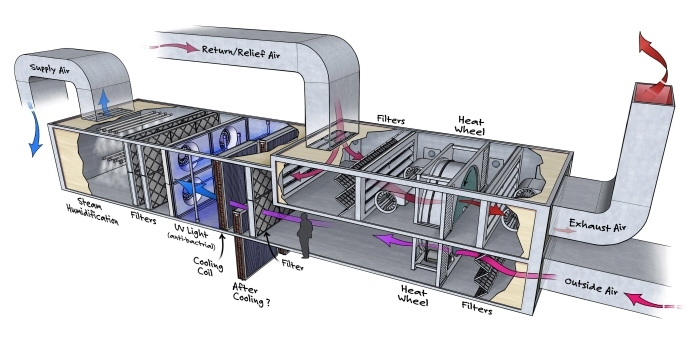 • Hard fastness between panels and frame to ensure good air tightness..
• The spiroduct can be connected directly to the sections for easy installation. 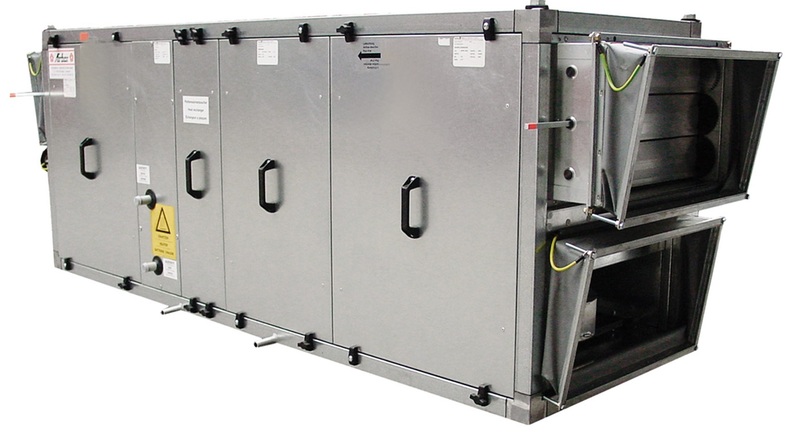 • The AHU's have very good acoustic and thermal insulation. 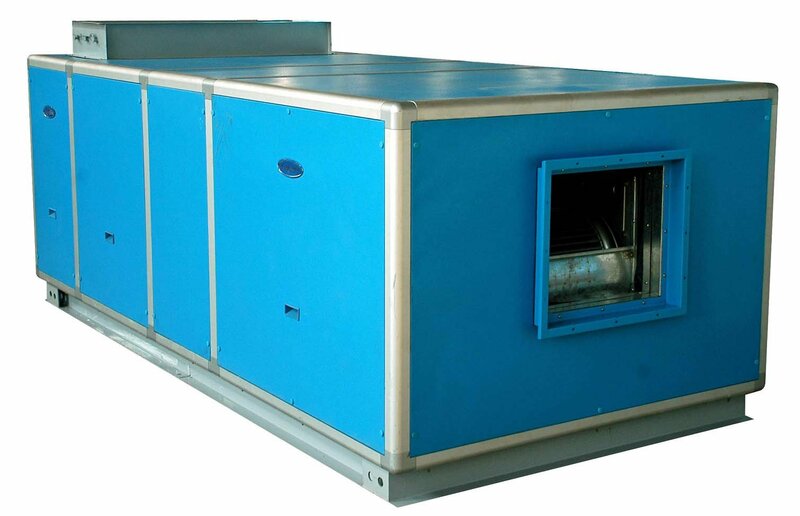 • The AHU can be delivered both as galvanised or stainless steel. • The units are delivered with wave breakers and water traps. • The fan and motor are mounted on vibration dampers with flexible connections.